I struggle with getting my kids to eat healthy foods. One way I have some success is by involving the kids in choosing foods, buying foods, and preparing foods. 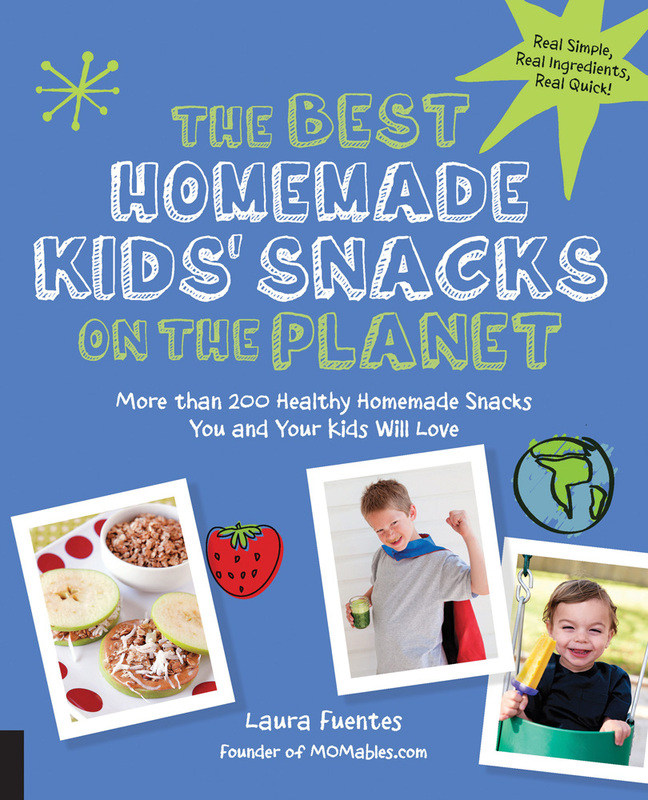 As I previewed The Best Homemade Kids' Snacks on the Planet by Laura Fuentes of Momables, I looked for recipes simple enough for the kids to help cook. Truth be told, I came up with this easy recipe because sometimes calling it a pizza is a lot easier than getting my kids to eat fruit. I do this with my own children too-cookies, pizza, meatballs, and cake...the stuff my kids love. My kids enjoyed making the Blueberry Snack Cookie filled with rolled oats and ate a healthy serving of oatmeal which they ALWAYS refuse. Kids can need between 15-20 exposures to a new food before they readily eat it. Starting with oatmeal in a "cookie" works for us. Fuentes's line about trying to associate something fun with a new recipe spoke to my teacher instincts. As I looked for easy, kid-friendly recipes to get the kids active in the kitchen, I started matching some of the recipes with well-known children's books. I am taking this philosophy into my younger children's day care to do a lesson on "Keeping Cool in the Kitchen." I'll be pairing this Dreamsicle Fruit Dip with two great books: Gregory the Terrible Eater and Eating the Alphabet. Another hint Fuentes and Parents Magazine recommend is using dips as a way to increase kids' acceptance of fruits and vegetables. In a medium bowl, mix yogurt, cream cheese, and orange juice concentrate. Mix until thoroughly combined. 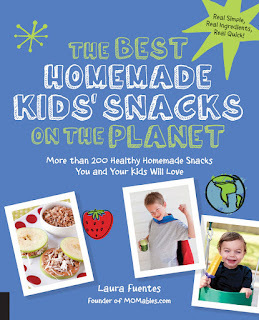 We are thrilled to be able to offer a lucky winner a copy of The Best Homemade Snacks on the Planet! To enter, just leave a comment in the comment section below. The contest runs until 9pm August 2, 2015. OOOO, I am ALWAYS looking for fun, healthy & tasty ideas for lunches! This cookbook look great! Thanks for sharing! My kids are my number one helpers in the kitchen - it's a great learning opportunity in so many ways! I love this idea because I loathe making school lunches and am hoping for some new ideas. Sounds yummy! Perfect for after school snacks, which will happen in less than 2 weeks. So much fun! My 6th grader loves to be in the kitchen with me! I do love a give away!